This is a great project! So often we don't realize that quality can still be achieved even when time is rushing you!! 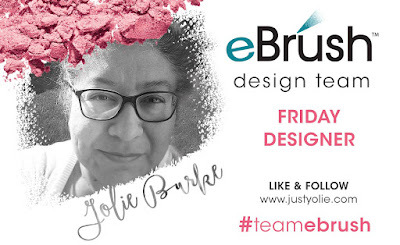 Yolie Burke shows us how! It's all about quick crafts today! I put together a couple of gift boxes using FREE svg files from Dreaming Tree. 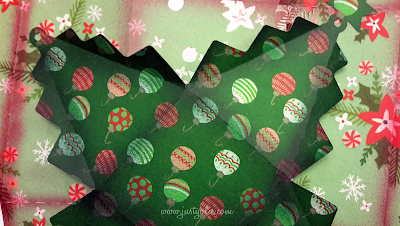 Here's what you will need: Christmas paper, I used DCWV Hand Painted Christmas, ribbon, embellishments and of course the eBrush with red and green Sharpies. I used the Cricut Explore Air to cut the boxes. 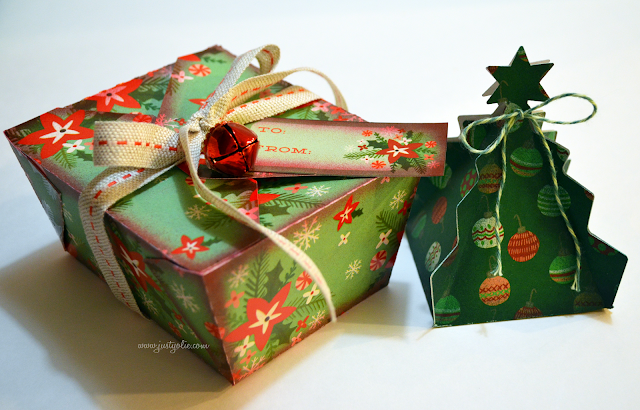 These are One-Piece boxes using 1 sheet of 12"x12" paper for each box. As I mentioned before they are FREE svg files by Dreaming Tree. You can find them here. 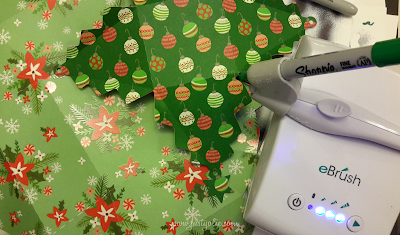 I used the first setting on the eBrush and airbrushed the red on the take out box and green on the Christmas Tree favor box. Quick and easy. I used twine, ribbon and a jingle bell to embellish. The tag on the box is a cut-out included in the DCWV paper stack. The twine and jingle bell from my stash. The ribbon on the box is by May Arts. 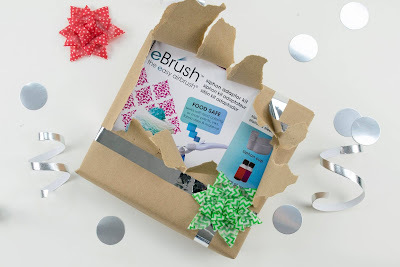 If you don't already own the eBrush, today is the last day to take advantage of the eBrush Bundle! It's $99.99 for eBrush + siphon bundle + free battery (reg. $189.99), 20% off ALL accessories! I hope you enjoyed my projects today. Thank you for stopping by today and enjoy your weekend.